In full, bowler hat. A hard felt hat with a rounded crown and a narrow curled brim. be given one's bowler (hat), get one's bowler (hat) slang be retired to civilian life, be demobilized. bowler-hatted adjective (a) wearing a bowler (b) slang civilian retired from the forces. The bowler hat is rather interesting, not least to me because I always thought it was so called because it's shaped like a bowl. That's not so ridiculous, is it? Personal misapprehensions aside, its history is fascinating. The brief for its design came from Edward Coke, a British soldier and politician who wanted a robust, low-crowned hat to protect his gamekeepers' heads from low-hanging branches. On its completion by Edward Bowler of Lock & Co, an inspection was carried out by Coke which involved him stamping on the hat several times (presumably after checking the shop's returns policy). The hat survived Coke's booted onslaught, and he immediately handed over twelve shillings for the work. Initially it was called the Cook Hat (in accordance with Lock & Co's policy of naming new designs after the commissioning client), and thereafter developed several names, including the billy coke, the billycock, the bombin, the derby and bob hat in the US, and most generally the bowler hat. 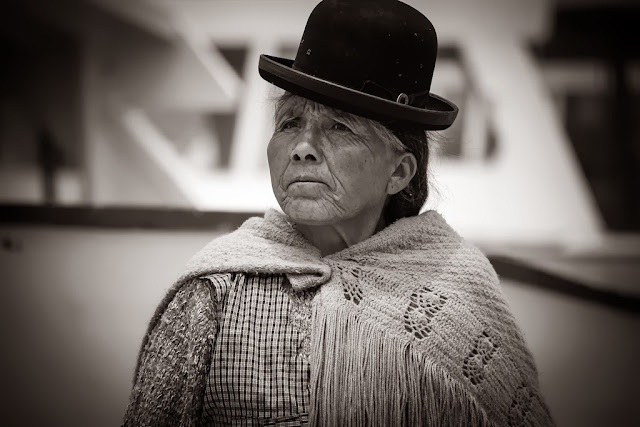 The bowler has since attained an iconic and worldwide status, from the stereotypical middle-class Englishman, replete with umbrella and pocket-watch, to the national dress of Bolivian women, worn at a jaunty slant atop their dark plaited hair. 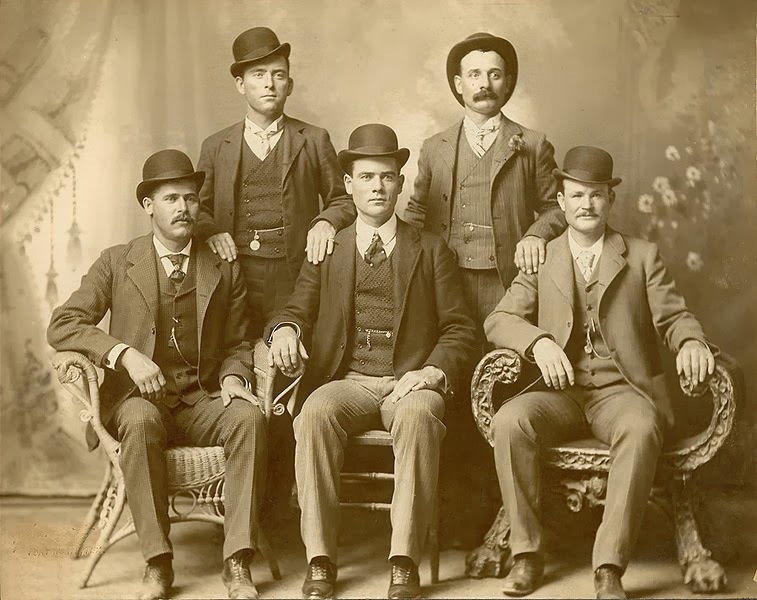 The practical, sturdy bowler was even the hat of choice in the Wild West, far less likely to blow off in the wind or be dislodged while galloping on a horse than either the cowboy hat or sombrero. Numerous cultural and historical icons have favoured the bowler too, from Charlie Chaplin (whose bowler and cane fetched a pretty penny at auction), Winston Churchill, the Wright Brothers, the Thompson twins, Laurel and Hardy, the Joker and the murderously razor-rimmed Oddjob. Oh, and of course we can't leave out Mr Potatohead, who we now know has a more authentic cowboy hat than Woody. If you're wondering how the bowler migrated from Britain to Bolivia (as many travellers to South America do), this dates from the 1920s when shipments were sent over for British railway workers. For whatever reason, the workers were dissatisfied with their hats (perhaps they were too small, or it was too hot, or maybe they just received too many), and so they were handed out to the local population. They proved so popular that production eventually switched from Europe to Bolivia, and they have remained part of the local dress ever since. 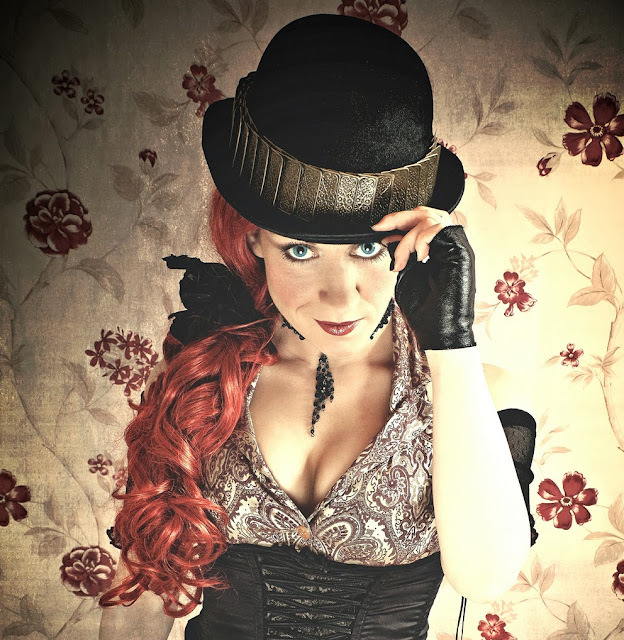 Do you own or wear a bowler hat? Did you hear about the bowler that wouldn't wait but went on ahead? Did you (like some people around here) think its name had something to do with bowls? Your hatty comments are most welcome (but, please, no CAPS). Ed, today's pictures made me weep a little, when I consider how refined the Englishman traveller was with his pocket watch and bowler hat. What has happened to us, for cricket's sake? I am flying to Crete on Tuesday (thank you for the advice Evi) and this will involve 4 flights with Ryanair, the European equivalent of Southwest Airlines, and the tangible equivalent of the low-fare route to Dante's Inferno. Given their record, it wouldn't surprise me if they have scrapped the boarding-card system in favour of branding each passenger as if cattle. So I need to vent any pent-up gas before we go, and this might, I feel obliged to warn you, take the form of an irrational and spittle-flecked rant. In the unlikely event that the plane lands in water, which may or may not be the consequence of me refusing to keep my phone in flight-mode, I will NOT remain calm and follow directions from the stewardesseses. I will NOT take care in removing my belongings from the overhead lockers, in the optimistic hope that some items HAVE become dislodged during flight and WILL fall on and paralyze a senior Ryanair manager who has acquiesced to endure a flight with a heavy bag, bulky hand-luggage, a dying pet, a headache and no boarding pass (priority or otherwise) so as to see what all the fuss is about. I WILL make sure that every child, and everyone that looks as though they could pass for a child on the little rides at a theme park, is wearing their life jacket long before I am. I WILL inflate my lifejacket before I leave the plane, and all the lifejackets I can comfortably reach before being subdued. I WILL leave the plane by the furthest possible exit from my seat, breaking the isle-lights stampily as I pass them. Once in the water, I will NOT use the poxy little whistle and flashing light to attract attention, confident that the screaming, flailing pilots and cabin crew, who (whom? don't anyone dare correct me at this point - I'm almost finished) I intend to tie to the wing with the demonstration seat-buckles, will do that for me. If I was wearing a bowler, I would straighten it with a 'hmphh' at this point, check the time, and flounce off. Calm down, Clueless, easy. Don't forget to breathe every now and then. If the plane crashes, at least you could draw comfort from the fact that you won't be the only one affected. Some people like to crash in company. Have an amazing time on your holiday! 'Calm down' is quite astonishingly counter-effective when said to girls, Ryanair passengers or both. Like the glasses and new hair on cartoon bibi! By the way, today's rant was a naughty response to Ed ranting at me that rants in Lexi comments make him rant about ranters. I'm sorry mister, but you lost me after the third "rant". I've never heard anyone complain so vociferously about the future logistics of a holiday that they themselves planned. Quite astonishing. One can't help but feel that such moaning is indeed part of the perverse pleasure and, had you made more comfortable arrangements for yourself, you wouldn't derive half the satisfaction. Today's rant was ever so slightly off-topic, C, and my finger was momentarily hovering over the delete button. However, do indeed try and enjoy your time in Crete - drop into us at Lexi if you get a chance, and if not we'll see you when you get back, sun-kissed, refreshed and ready to take on the world with a beaming enthusiasm. Sorry. Heard you were a finalist in the humour category. Got the misguided idea a ranty comment during the weekend might help. Didn't have a bowler hat rant because they're cool. Didn't plan the holiday - tagging along with friends who are too poor to hate Ryanair. I'd better have myself a long Greek rest and then try rantless on-topic commenting for a giggle. I like bowler hats, maybe because they're not common over here. In fact, the only person I've ever seen wearing one was an English tourist; a dandy in full suit, umbrella and a bowler hat to top it off. I don't remember whether he had a moustache, but he must've. I've never worn a bowler hat, and now I want to. I think I'm going to buy one. Soon. If you do, I demand photographic evidence. I think they make a gentleman look very dashing! Then a photograph there will be ... that's if I ever get my hands on one, of course. Maybe I shall go a little steampunk! Or you could go like this. Eew. I find A Clockwork Orange really creepy. I was actually in a shop yesterday looking for a bowler, but they were all too small - a very typical story for me.